watch making fell before the scythe of new technology. Some adapted, but most were crushed. New powers emerged in this uprising, powers that would change the map of horology. It was the last dynasty of the Golden Age, the twilight of the time of the watches of kings and nobles, and the new era of watches for the everyman. watch making — after all this was a new age of industry, yet others who had tried had failed; the horological magi of England and France had rejected the idea flatly. Leschot also attempted to promote a new form of lever escapement, one suited for mass production and which would still be more accurate and durable than the cylinder, while still allowing for the movement thinness that fashion required. In 1839 he was given his opportunity when the old house of Vacheron Constantin hired him to rationalize its movement production. watch making houses in Geneva. From there, industrialization spread slowly throughout the Swiss cottage industry, atelier by atelier. 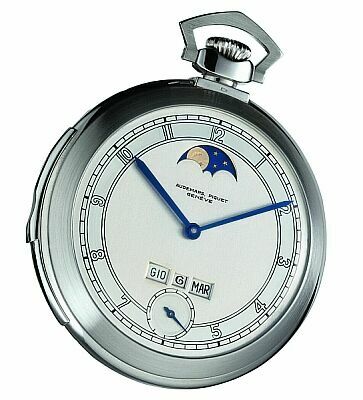 The efficiencies of the new tooling combined with Switzerland’s very low labour costs and the non-centralized knowledge base and experience of the extensive etablissage network brought about the first watches that were financially accessible to the emerging middle class, thus opening up a much larger market for pocket watches, the strong consumer demand of which further fueled the growth of the Swiss industry. This was the time when most of the extant Swiss manufactures were founded, using the new methods ab initio. To this day, it is traditional for these brands to design and manufacture the tooling that they use to make the parts for their movements. clock watches for example, had actually been the most common forms of the pocket watch for centuries, but their complexity (high parts count) resulted in much higher tooling costs, and the labour intensive tuning and the extra-precise fitting of parts required the continuance of much of the old ways of hand-crafting for their manufacture, even with the aid of the new methods. Thus was created a division between large volume commercial production which supported a company, and the very limited production hand-work, or “high horology,” which became an important part of brand prestige. Haute horlogerie became a kind of competition between the old and new Swiss brands, resulting in an unprecedented era of grandes complications, beginning in the latter half of the 19th century. 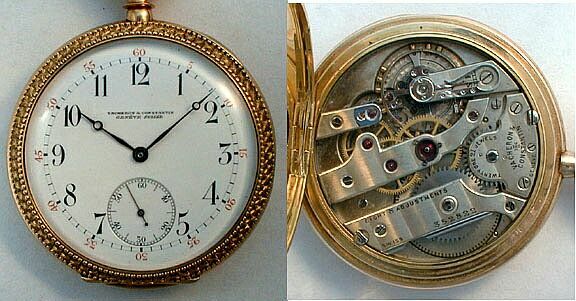 These watches remained expensive (if slightly less so than before), and even today with all of our advances in the design and production of micromechanics there is still little interchangeability of parts from one finished watch to the next in high-horological pieces like repeaters, tourbillons, and grandes complications. watch making of Switzerland, which then hurried to catch up to the American level of technology in the last quarter of the 19th century. IWC is an example of a Swiss manufacture founded (1867) upon the American industrial model (by an American). But most important in all of this was that watches were now becoming available and accessible not just the top of the middle class (as with Swiss watches) but soon even to the working class, in varying degrees of quality and cost. We will not speak of the abominable pin-levers here, other than to say that they served their purpose for a time. watch making powerhouse, with only a few isolated Parisian cabinotiers still making truly French watches with French movements. Refusing industrialization or the compromise taken by France, the English industry teetered near extinction by the turn of the century. While the old empires struggled for survival and identity, the institution of official standards for railroad watches in 1893 ushered in the most important part of the American pocket watch legacy. While some American manufacturers dabbled in high horology, it is the Railroad Approved watch which is definitively American, and the great contribution of American horology to the craft. The diversity of brands and models is an area of scholarship unto itself. Incidentally, manufacture of pocket watches in Japan, following the American industrial model, was begun by the Seikosha factory in Tokyo in 1895. Also incidental are the karrusel watches (usually with freesprung lever escapements), produced in Coventry England, as a simpler and more economic alternative to the dying art of the chronometer tourbillon. Produced for a short period starting in the mid-1890s, they were inexpensive and produced in fairly large numbers – both relatively speaking – but they were little more than a speed bump in the decline of the English pocket watch industry, which was all but dead by the end of the Great War. Some of the industry survived by entering the new field of wristwatches, but that too would be dominated by the Swiss. 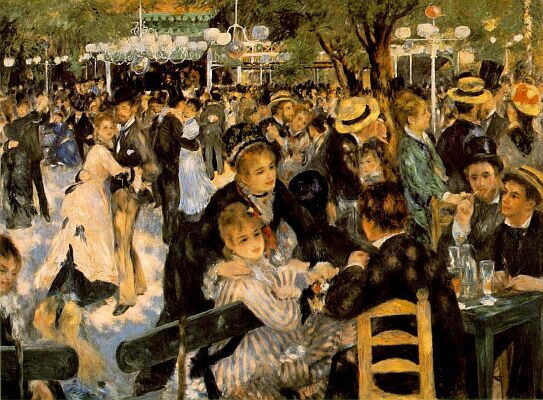 The last quarter of the 19th century also saw a shift in the methods of movement decoration and finish. Matte gilding had been the standard in France since the time of Lepine and Breguet, and had become the standard in England not long thereafter. The first usage of platinum group metals for jewelry and watchcases extended into the use of rhodium plating for movements. Its harder surface gave superior protection from corrosion than gilding did, though the latter remained the more common usage for some time. At around the same time we also begin to see the first examples of the “Ctes de Genve” movement decoration which is so popular today. It is not really a product of “old-world” hand-craftsmanship in the traditional sense, but a new application of the powered lathes that were then coming into use. “Hand-applied” Ctes de Genve simply indicates that the powered lathe is guided by hand in the original manner. “Perlage” and most other ground-in decorations on plates or wheels are similarly the product of this new technology. The simple striping style of movement decoration slowly spread from Geneva to the Vallee de Joux and the rest of Switzerland, then outward to France, and Saxony. It also saw limited use in America, where elaborate patterned decoration gained wider use. After the turn of the century Swiss and American pocket watches reached their peak of refinement, and early wristwatches of the same period were often a bit crude in comparison — excepting the seminal works of Louis Cartier. New heights were being attained in pocket and coach watch grandes complications by Swiss manufactures like Patek Philippe and Audemars Piguet, and the railroad grade watches of America were an institution synonymous with accuracy and dependability. But after the Great War we find ourselves at the genesis of a fundamentally new age, that of the wristwatch. The military wristlet watches adopted during the conflict had de-feminized the idea of a small watch strapped to the male wrist, which coming out of the 19th century had never had any such adornment as a bracelet — leather or otherwise. Watch manufacturers in Switzerland quickly adopted the new form to meet the demand for the new fashionable timepieces. 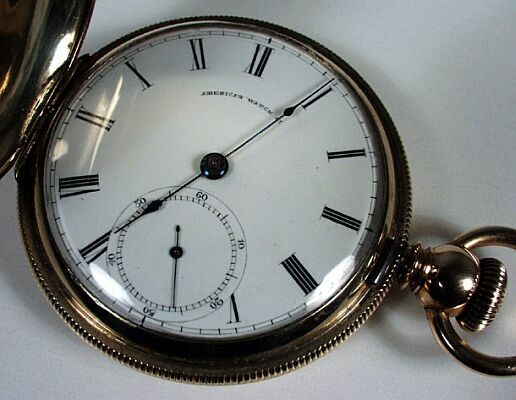 For a time, pocket watches and wristwatches co-existed in an uneasy peace, but the ancient form found itself living on borrowed time as it was slowly marginalized by the growth in wristwatch sales. The pocket watch remained the choice of the elder generations, but with new blood came the new way. The doom of the pocket watch was not fully realized until the Great War came again, as the Great Depression would put things on hold for a time. The collectors prospect for this period (1850 – 1930) is a mixed one. It is the end of diversity in escapements, really only Swiss and English levers due to the gradual disappearance of cylinders and chronometers by 1900, except for ladies fob watches which continued to use cylinder escapements for decades yet. French pocket watches are still high-quality, but in truth are a hybrid French-Swiss product more often than not. English watches are at their peak of quality in many instances, alas only in declining numbers, and are a great collectors opportunity as long as you can accept key winding and fusees from such late watches. Also rare would be the Japanese manufactured pocket watches of Seikosha and other lesser known makers. After 1895 American railroad watches reach their zenith, and are a very large category in which many collectors specialize, often focusing on a single brand. Watches from the European continent experience the split between commercial and high horology: Commercial Swiss watches are often “dirt cheap” other than for gold watches from major extant brands, and once again striking watches are quite reasonable though curiously are often more expensive than those from the preceding period (1775 – 1850). High-end astronomics like perpetual calendars and equation du temps appear to be much rarer than striking watches, and thus are generally more expensive. One point of note: The finest lever watches will be freesprung, except for most Railroad Approved watches which were often required to use regulators. men’s clothing – in-itself a thorn in the side of present day pocket watch enthusiasts – as the wristwatch reached a kind of classical zenith in the ’50s and ’60s. As a dead language, the pocket watch was studied and spoken only by a Swiss elite who maintained the traditional forms in intermittent, very low volume production, but as an important part of the art of the craft, and for the element of prestige it brought within the Swiss horological community — for the pocket watch was now the sole domain of the manufacture. The quartz revolution brought the brief Silver Age of mechanical wristwatches to an end, and with the obsolescence of almost all mechanical timekeeping (marine chronometers lingered until the ’80s) the pocket watch at last faced extinction, as did the entire Swiss industry when Japanese quartz came to the fore. As with those before, this revolution brought new beginnings and many endings as well. surprising than the small numbers of pocket watches produced today are typically held to a higher standard than contemporary commercial grade mechanical wristwatches, and indeed might be classified as a part of haute horlogerie even when lacking complications. I should also note that while cheap, disposable pocket watches had been made in considerable numbers, pocket watches in general never suffered the indignity of a slow cheapening of design and manufacturing quality that mechanical wristwatches had endured in the 70s as they attempted to fend off the encroachment of inexpensive quartz wristwatches — something from which they have not yet recovered even now. Most contemporary pocket watches use vintage designs or antique-inspired designs, but a few break new ground either stylistically or mechanically. clock watches with 12 complications. 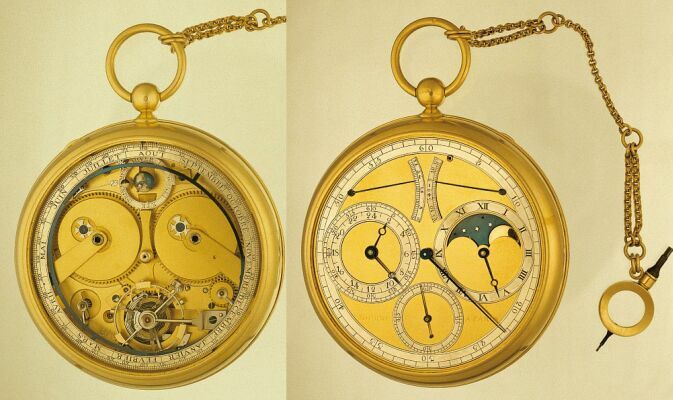 All of Patek Philippe’s pocket watches bear the Geneva hallmark of origin and quality. Both IWC and Patek Philippe produce variations of their simple pocket watches with hand-painted enamel casebacks in the 18th century style. Other manufactures both old and new produce pocket watches along more narrow foci. Zenith and Blancpain produce simple pocket watches, the former with power-reserve indication, the latter’s are ultrathins using a Frederic Piguet calibre. Old greats Vacheron Constantin, Breguet, Girard-Perregaux, and Audemars Piguet, intermittently produce limited edition complicated pocket watches, perhaps as they are naturally superior platforms for complication due to scale. Up until recently Audemars Piguet produced simple watches using its in-house calibre 5020. The small manufacture Parmigiani Fleurier produces opulent grandes complications evocative of A.L. Breguet’s “Marie Antoinette.” It should also be noted that many independent watchmakers also still work in the ancient format, including established names like George Daniels and up-and-coming names like F. P Journe (shown below). It is difficult to quantify the “collectors value” of these modern pieces, outside of the more obvious value of the grandes complications. The watches both simple and complicated are quite expensive relative to vintage and antique pieces which are readily available in the antiquities market, but they do allow one to buy and own new hand-finished pocket watch in the computer age; a unique experience which may be worth the steep entry fee. There is of course no rational reason to pay attention to pocket watches, any more than there is one for mechanical wristwatches. But for most who have been drawn by the virtues of tradition and craft to the latter, the former represents a greater world yet unexplored. Of some 500 years of mechanical watch history, less than 100 of them have belonged to the newfangled wristwatch. 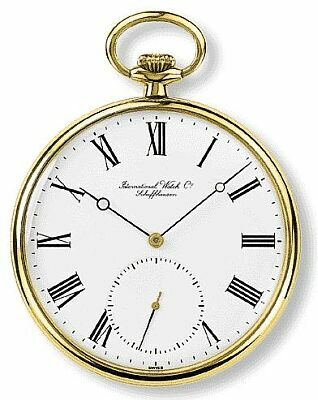 Speaking for myself, there is a magic and grandeur to the pocket watch movement, typically 50% larger than a comparable wristwatch calibre, which is unmatched by its wristlet offspring. Indeed, it is this grandeur which in my opinion validates the massive calibre 5000 recently produced by IWC for its limited edition wristwatches. For others there will be other reasons, all valid. If one goes back to the age of handmade watches one can even learn the formality and direct connection of winding by key rather than by crown — a ritual familiar to traditional clock owners. There is a vast depth and richness of horological experience yet unplumbed, but which waits patiently for each of us should we choose to look for it. For myself, perhaps one day I too will be reunited with my lady, the pocket watch. Thanks to Hans Zbinden, Thomas Mao, and Eugenio Demmenie. Minute Repeater (1920) courtesy of Audemars Piguet & Cie S.A.